The New York Times bestselling author of Seeds of Deception returns with a story of orchard owner Meg and the search for a poisoner. The usually quiet town of Granford, Massachusetts, is even drowsier during the colder months. But this year it’s in for a jolt when Monica Whitman moves into town. She’s a dynamo who wants to make friends fast in her new home, and she throws herself into community activities. Meg Corey, now Chapin after her marriage to Seth Chapin, is intrigued by the new arrival, who has already sold the town board on a new, fun way to bring in visitors during the off-season: WinterFare, which will feature local foods (such as Meg’s apples) and crafts, as well as entertainment. Tragically, Monica falls ill and dies after the event in what looks like a case of food poisoning. 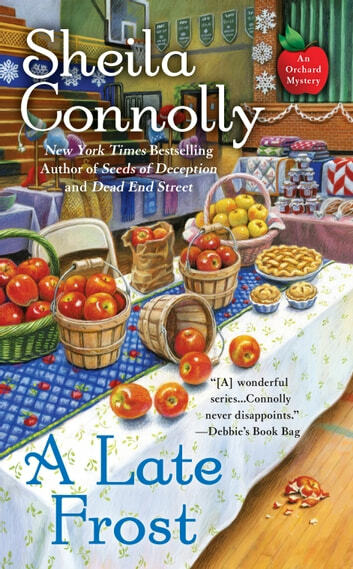 When all the food served at WinterFare has been tested, including Meg’s apples, it becomes clear that there’s a more sinister explanation to the older woman’s sudden demise. 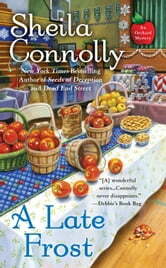 Meg’s investigation uncovers a bushel of potential suspects, one of whom is rotten to the core. How the Finch Stole Christmas!